Bet £10 and get £30 in free bets with Betfred when you visit via My Betting Sites. Terms & Conditions: Only available to new customers from UK & Northern Ireland. You must stake £10 or more at single/cumulative odds of Evens (2.0) or greater on your first bet. Free bet balance of £30 credited within 48 hours of your first bet being settled. Free Bets expire after 7 days. E-Wallet restrictions apply. Game restrictions apply. Maximum 30 Free Spins on selected games. Free Spins expire after 7 days. What Does This Promo Code Get You? This promo will get you £30 in free bets when you sign up to Betfred as a new customer. Where Do You Enter the Betfred Promo Code? 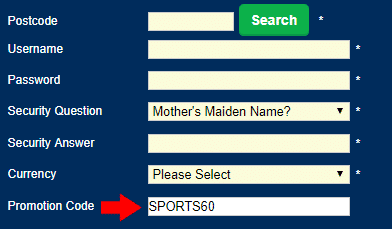 The Betfred promo code is entered during the registration process. This code is only for new Betfred customers. Betfred does, however, have offers for existing customers on a daily basis. For instance, it is possible to get money back on horse racing. These can be found on My Betting Sites homepage. Just select Betfred from the ‘Betting Site’ filtering options, and you’ll see all of the offers for existing customers. There are many great reasons to join Betfred. Here are some. Established Brand – Betfred is one of only a number of bookmakers that has both an online and high street presence. Betfred was set up in 1967 by Fred Done. Most cities and towns in the UK will have a Betfred. They’re the current sponsor of Bolton FC. 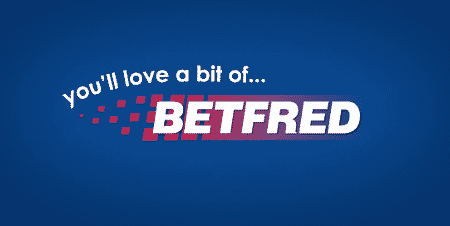 New Customer Offer– Betfred offers a free bet to new customers. They haven’t varied the new customer offer too much for a few years, so now is a good as time as ever to join. Features – Betfred has many of the features you come to expect of a top bookmaker now, with in-play, cash out and live streaming. Betfred are consistent with most bookmakers when it comes to offers for existing customers. Their offers don’t change a lot; it’s quite rare that they have offers for particular games of football. It’s been a while since we saw their ‘bet £10 and get a £5 free bet’ on football. However, their ‘always on’ offers are competitive. Throughout March they ran their ‘free bet when your horse is 2nd to the SP favourite’ offer. This was available for Cheltenham. On top of this, they provide bonuses for rugby first try scorers, and football and goalscorers. For more promo codes available via our promo codes page.